Niigaki: Some time ago I was doing a shoot for a TV program where they had pictures from the times of our respective debuts lined up, and I realized how the members in them all looked different depending on the era. I don’t just mean our makeup and our hairstyles, but the whole “feel” of the pictures themselves. 20 years… It really is a piece of history. I was a member of the group for half of that — 10 years. The beginning was so incredibly difficult for me, but I think if I had to choose, it was the latter half of my time as a member that left the bigger impression on me. This was when we were the seniors; when our seniors had all left and it was up to just me and Ai-chan to take responsibility of Morning Musume. That was the era of my Morning Musume life that to me felt the most profound. — You joined the group in 2001. “The☆Peace!” was a hit and the group was smack in the middle of its Golden Era. Niigaki: I loved Morning Musume. 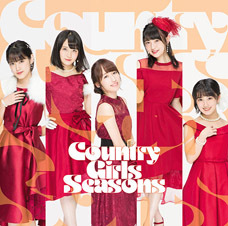 My first impression of them was that it was this group of older girls singing really cool, mature songs, and then when the 4th generation joined I came to like them even more since they were around the same age as me. That’s when I first started going to their concerts, too. You couldn’t apply to their auditions until you were in junior high school, so I just waited patiently until that day and I let my parents know I wanted to apply. — Were they supportive of you wanting to do so? Niigaki: No. This was right around the time of my midterm exams, so initially I just gave up when they told me to stop dreaming and focus on my studies. But then I begged them one more time just before the deadline, and my application made it in just in time. At the auditions, I went into this conference room type place where they called us by our numbers, one-by-one. There even were some auditionees there who had come from overseas. I was shocked by just how many people there were — I was later told that there had apparently been over 25,000 applicants. — Despite there being so many rivals all around you, were you still confident that you would pass the audition? Niigaki: I actually expected worse, but it really wasn’t. Everyone got along pretty well. In fact, it was to the point that when we were in the bus headed to the training camp, we were talking to each other so happily that the staff had to tell us to be quiet. Plus, a lot of us were so carefree, if there was something one of us couldn’t do we’d all help each other out. It wasn’t like a group of rivals trying to outdo one another; instead, everyone felt like they were their own biggest enemy. — Were you friendly with the other three from your generation since the very beginning? Niigaki: Rather than “friendly,” it was more… we wanted to do our best together. We were excited to be accepted into the group, but then it became super intense starting with our very first day as members. It was just very physically demanding and none of us could do anything properly at first. I very quickly learned that it was because the group was always going through all this extremely demanding training that they were able to shine so brightly on stage. We had a strong emotional attachment to every single song of ours, and even all our choreographies had meanings — literally down to the degree to which we’d have to point our fingertips or something. We were immediately taught that there was zero compromise when it gave to the group’s performances. — Wasn’t the difference in skill between you and your seniors overwhelming? Did you not feel like just running away? Niigaki: For the first month or so the four of us were constantly doing basic training so we didn’t even realize it at first, but when we finally started our activities together the difference between us and the rest of the members was so immense that I was just shocked. The biggest thing was how fast they were at learning — our seniors could master all sorts of thing in an instant while the four of us would be seriously struggling. Both their speed and the quality of their learning… it was all completely beyond my expectations. I felt this huge pressure to do better because otherwise no one was ever going to acknowledge us. And not just with the dancing but the singing as well. It was so much work for us. It wasn’t easy. Niigaki: That made me happy. The four of us went in to record the song and Tsunku♂ was there to listen to us sing it one-by-one. It felt like a test of some sort. Ultimately, it was my version of the line that was used. 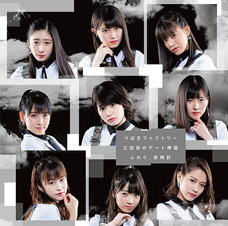 My voice had been selected to be the very first sound on my debut single — a CD of my beloved Morning Musume. It really did feel like a dream. — You got the part on the CD, but I’ve heard it was even more difficult for you during TV recordings and such. Niigaki: The four of us in the 5th generation would take turns in singing the line at our TV and concert performances. Standing there all by yourself at the very beginning of the song… it was quite a lot of pressure. I was always nervous about when it would be my turn next. Niigaki: That’s why I was so afraid of TV shoots at the time, and I was nervous before concerts, too. The four of us would often be in the dressing room practicing just the “ai wo kudasaiiiii ♪” part. We were always having trouble with it — lots of times we’d cause trouble for everyone because they’d have to stop filming because of us. Thinking back, I’m glad that phrase was at the beginning of the song — I can only imagine how strained the atmosphere would’ve been if the group had been repeatedly told to redo it after having made it to the very end of the song. — In all honesty: would bad takes like that result in the mood within the group becoming hostile? Niigaki: No, it was okay. Our seniors were so kind to us. They’d teach us their tricks. “Try doing it like this. Maybe that’d help you do it.” Of course, when we were being just hopeless they would obviously get angry or give us some words of caution. But they were always quick to forgive. Our seniors really were so kind. — Despite your seniors being so welcoming, the 5th generation was thought of as being somehow “unmotivated,” weren’t you? Niigaki: For me, the person I was the most scared of was our dance instructor, Natsu Mayumi. Dancing was so difficult to me — I just couldn’t keep up at all. She’d have to stop the lessons countless of times because of me. Being told to your face that you’re “the only one who isn’t able to do it properly” would make me that much more stressed about it, and that would then make things go from bad to worse. Mentally I knew what I had to do… but my body just wasn’t able to keep up. — It must have been a burden on an unexperienced 12-year-old, suddenly being given all these tasks to accomplish. — According to Takahashi, there were times when everyone in the 5th generation was feeling so down you came this close to just running away from the group. Niigaki: Oh, yeah. With those three, absolutely. (laughs) The other three were all so negative, there were many times when I just thought… “if this goes on we’re done for.” One time when we left the rehearsal room and we were walking towards the bathroom, there was this window on the way. I don’t remember which one of us said it, but someone uttered that they wanted to escape through that window. I don’t know if they really meant it or not, but that’s how cornered they felt. — So you personally didn’t feel that it was quite that serious for you? 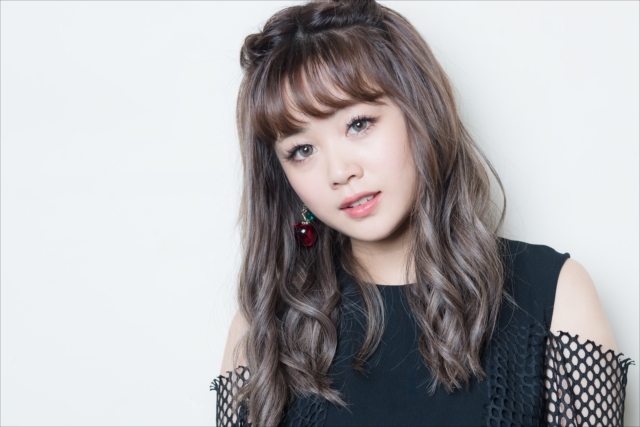 Niigaki: I was still living at home and attending the same school as before, so my environment hadn’t changed all that much despite me joining Morning Musume. But as for the other three, they all had to move in from outside of Tokyo. They lost their old schools, all their friends… and then on top of that, they found themselves in this all-new, difficult situation. I really felt so bad for them for a long while there. As for me — though I did feel like quitting near the very beginning — once I decided that I was going to do my best no matter what, I never felt down like that again. Niigaki: Prior to joining Morning Musume, I had passed a certain audition and I got to appear on a TV commercial. I wasn’t a part of any agency; I had done it as a private individual. Yet, people mistook it as me having been able to join the group all because of some sort of a connection. So they started bashing me. All of a sudden it felt like I was starting in the group from a losing position. People at our concerts would be cheering on the other three when they were doing their self-introductions, yet they would start booing during mine. They would hold up signs that said hurtful things about me. — Even though you had finally found yourself in this place of your dreams… it must have been painful. And to think that you had been just an average girl only a short time prior to that. It must have been so disheartening for you. Niigaki: That’s how much everyone was paying attention to this place that everyone yearned for. I was quickly made aware of the fact that I was going to have to work so much harder than I thought if I wanted anyone to acknowledge me. With that said, there were times when I just couldn’t take it anymore… times when it was so painful, I wanted to quit. But there were some fans cheering on even someone like me, so I managed to change my mind and keep trying my best for the sake of those fans. — I would imagine that it isn’t easy to get over trauma like that. — Did your generation-mates know about all this? Niigaki: No. I never told anyone that I wanted to quit so I’m sure they didn’t know. But while I never discussed this with the other three, it was because they were there for me that I was able to overcome it. They may not have known about the state I was in, but just having these friends doing their best by my side was enough encouragement for me. — Your looks, too, would go on to change during those 10 years. 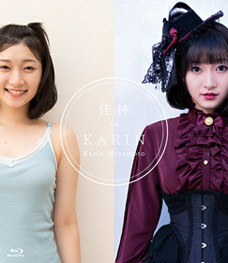 In the beginning you were known for your prominent eyebrows and your center-split twin tails. Niigaki: To this day, I continue to resent the office for that hairstyle. (laughs) That “Mother of Ultra” hair… I was told to have that hairstyle by the office folks, and even now in hindsight it’s not the least bit cute. At the time I just did as I was told without questioning anything. “Okay, got it!” Still, though… that was just terrible. (laughs) Back then they were constantly telling us to have “personality,” and not having the same hairstyle as someone else was one of the first things you would do to make yourself stand out. That’s why my hair ended up like that. — Compared to the other three in 5th generation, I felt like you especially had rather memorable looks. Niigaki: To be honest… I hated having that hairstyle when I was already 15 or 16 years old. When I finally got permission, I cut my hair down almost to my shoulders and I got bangs. There’s a lyric in the song “Joshi Kashimashi Monogatari” about how I was now “happy to have bangs” — even Tsunku♂ must have noticed. (laughs) But really, getting to finally cut my hair was such a relief. — Things like that would never escape Tsunku♂. Niigaki: He really was like a father to us. He would always worry about our health. Whenever we met him, he would always ask us, “How are you doing? If there’s anything bothering you, you can tell me any time.” He would tell us that even from the very beginning at our auditions. But although he would usually never get angry at us about anything, there was one exception: he was very strict when it came to rhythm and singing in key. — Tsunku♂ is all about that 16th note rhythm (“16-beat”), isn’t he? Niigaki: He would be constantly telling us, “don’t just sing it all flat like that — you have to put the 16-beat in there!” I was always immersing myself in the 16-beat. In the beginning I would be singing while keeping the beat with my hands to remain mindful of the rhythm. I must’ve done that thousands of times. With dancing, too, we would always start by learning the rhythm of the song. We’d do things like walk down the hallway to the beat of the song, trying to soak our bodies in the rhythm. It was so difficult at first and I didn’t really even understand why we were doing it, but before I’d noticed it, it had been drilled into me. And once it had, it actually made performing fun for me. — What was an especially difficult choreography for you? Niigaki: The side step may look simple on first glance, but none of us could do it at first. Tsunku♂ had a very “Tsunku♂-like” way of wanting us to feel the rhythm in that song — it wasn’t the usual “one-two-three-four” but like… “one-two, one-two.” Tsunku♂ came in during those dance rehearsals and we all formed one long row, with him in the middle, and we spent three hours learning just that one step together. Around those days, Tsunku♂ would always help us learn everything no matter how busy he was. — That sounds like a valuable experience, as well as an all-around great memory. Niigaki: Still, in the 10 years I spent in the group, it wasn’t that often that we received hands-on training by Tsunku♂ like that. But that just goes to show how particular he was about the dance in that song. Thanks to his special training, we did learn how to do it properly. Even now it’s a tradition that when new members join the group, the older members will teach them how to do that step. — One day, out of nowhere, people started praising the group and calling it the “Platinum Era.” How was that for you? Niigaki: I joined Morning Musume when the group was in this period of widespread popularity, and I wanted to be able to show the brilliance of that world to my juniors, too… but this was a time when things weren’t going so great for the group. The thing was, though, that even though we weren’t appearing in the media very much, we would still be performing overseas and everything about our concerts was in good order, so I personally felt fulfilled at the time. Me and Ai-chan would always be talking about how this was a time when we just needed to focus on doing what we did best, and not letting down anyone who came to see us. Making the people who came to our concerts enjoy themselves — that was our number one objective, and we were all constantly aiming to become better dancers and just improving our skills to the fullest extent. — So this was actually a rather positive period in time for you? Niigaki: Yes. This might be surprising to people, but that time period was just so much fun. The songs we were releasing were all so great, and since the average age of our members was relatively high, we could have mature conversations together. When there are kids in the group you always have to tell them to properly greet others, or stand straight in line or whatever — things that have nothing to do with performance and technique. But this was a time when there was none of that, and there was no discord between the members. It was just a very stable environment. There was a strong sense of unity between us and we all felt very ambitious about our activities. — You were very assertive as a subleader — you would be giving advice to your juniors even more than your leader, Ai-chan. You seemed very eager to lead. Niigaki: That’s true. That’s something me and Ai-chan would bump heads over. I was the type who would always point out faults when I saw them, whereas Ai-chan was such a kind person that she couldn’t easily approach others about things like that. But I felt that there were times when the leader had to get angry and tell it like it is, and that’s something we would talk about time and time again. We were both thinking about our juniors equally as much; it was just that we had different ways of showing it. — Funnily enough, apparently Takahashi is now able to point out her juniors’ faults to them. Niigaki: Right! It must be so annoying for them to have to take that! (laughs) She could’ve told them while she was still in the group! And to think that we’d get into these fights about it… “Gaki-san, tell them!” “You tell them!” (laughs) As for me, I stopped telling people off like that after I graduated, so it really is like we both became the opposite of how we used to be. Niigaki: It really was difficult with them in the beginning. Junjun couldn’t speak Japanese at all and although we had an interpreter, we were still worried if all the nuances of what we were trying to say to her were being conveyed. Linlin could speak the language, but not the honorific language — she would be speaking all casually even with the higher-ups, so we’d have to teach her the very basics. Also, they’d decide to take breaks at times when we were still in the midst of rehearsal. We really had to start at zero with them, telling them how they were never going to catch up to us at that pace. — You had to work that out all by yourselves? Niigaki: Back when we joined the group, our manager at the time happened to be the “instructive” type. But as we became the seniors, it changed into the members having to teach everything to each other. But since we also had our own selves to worry about, time management would be a big problem. Junjun and Linlin had left the country they had been born and raised in, and even though I’m sure even just living here must have been difficult for them, their work had to have been even more so. They had to work many, many times harder than the rest of us. 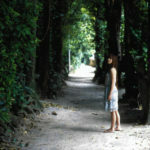 But little by little, the two came to understand the group, and ultimately they came to love being in Morning Musume. They both got over this big obstacle, and it was something that wasn’t just about the language barrier either. — I suppose the lesson here is: take on your problems head-on and eventually it will bear results. Niigaki: As you perform live, you’re singing and shedding sweat on the same stage. It gives you this feeling of togetherness. It was quite literally music transcending national borders. I’m sure it was difficult for them even just to be singing in Japanese, but our bonds had become strong to the point that they could overcome even something like that. Had our activities at the time been focused mainly on TV appearances, we may not have developed bonds like that. You only get one one shot on TV, so you need that sort of instantaneous power. But instead we kept steadily performing concerts and spending time every day just disciplining ourselves. I think it worked out great in the end. 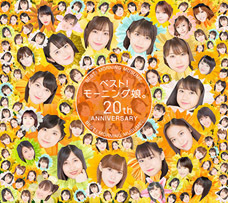 — That was an important period in Morning Musume’s 20-year history. 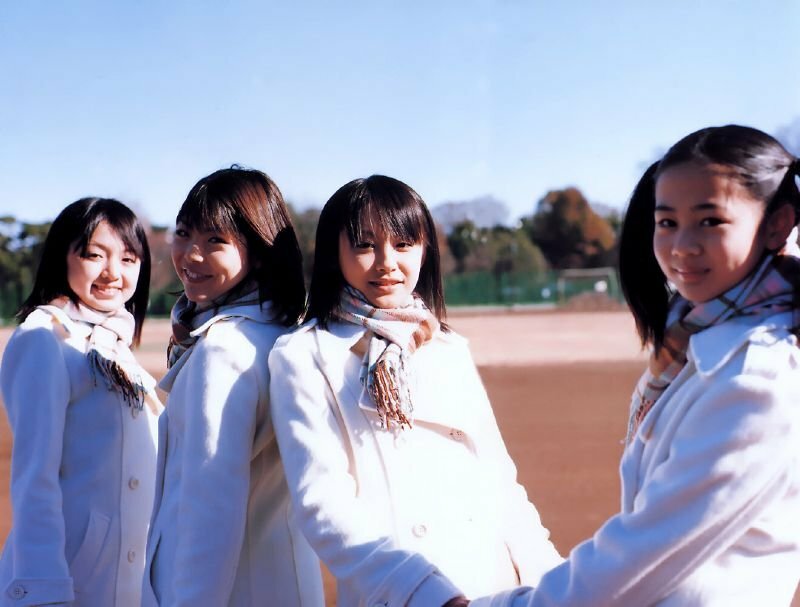 Niigaki: The early days of the group were just dazzling, but as time went on we got appear in the media less and less. Still, we were carrying the weight of this big reputation on our shoulders, and the members all felt that we wanted to carry it with pride through our activities. And now, the current members of the group have accepted that idea and adopted it for themselves. To me that makes it feel like we’re being rewarded for all the hard work we put in for the group. That is why I now feel so grateful towards the current members. — You were the final 5th generation member to graduate. You stayed with the group up until the 10th generation’s joining of the group. Niigaki: When the 9th and 10th generation members joined the group, it was this feeling of… “This! This is it!” The members had been older up until then so the mood in the dressing room would always be relaxed, but when the 9th generation joined it immediately became noisy again. Like… One time we had these inflated balloons at the photo shoot, and the new members would start playing around with them. So I’d have to raise my voice and go, “NO! Stop running around!” But it was actually fun — it immediately brightened up the atmosphere within the group. Me and Ai-chan, too, would be talking about how that was what Morning Musume was all about. We felt very thankful to the new members for having joined the group. — So rather than thinking of it as a sign of trouble, you actually welcomed them with open arms. 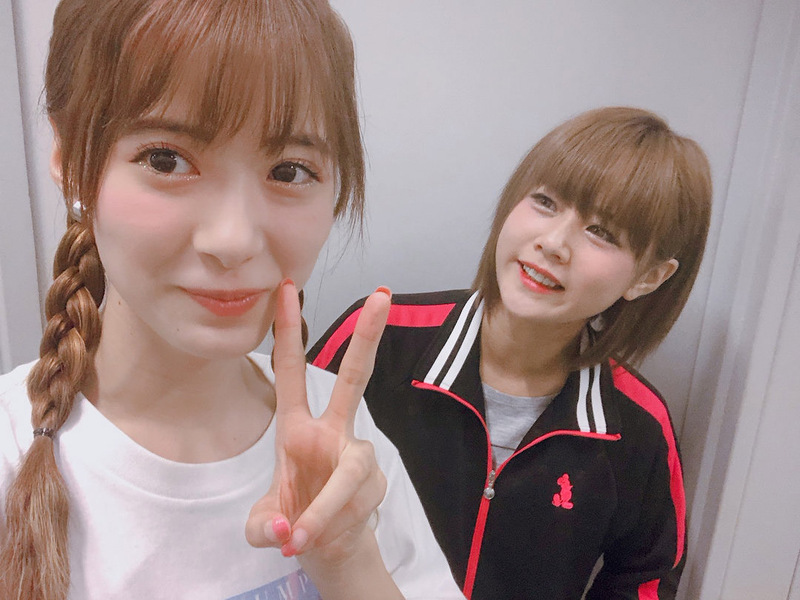 Niigaki: It was exactly like with Junjun and Linlin: we had to teach them everything from the very basics, like how to greet people properly and stuff. And we had to go back to the basics again in our dance lessons, too. That was all fun. The songs became totally different, too. Something like “Maji Desu ka Ska!” — suddenly we were singing songs where we we’d be doing like line dancing together. To think that just a short while earlier we had been this super cool group, and now it was… this? I really liked that huge difference and I was able to accept and enjoy it right away. It truly was a breath of fresh air being blown into the group. The new members causing such a complete change in our music and just the atmosphere in general… it was to the point where I had a hard time believing it was actually the same group. That change felt so fresh to me. Niigaki: That surprised me. Never before had I been told quite to that extent by any of my juniors that they loved me. (laughs) Personally, I also loved Abe Natsumi for example, but we were members of the same group and she was my senior, so that made me exercise some self-control. And the biggest thing was just that aura she had — it made it impossible for me to get too close. But none of that mattered to Ikuta. She’d come up to me and be all “Niigaki-saaaaan! ♡” I was going like… “what is this girl?” So that was something new as well. Ikuta even took part in the bus tour commemorating my graduation. She got on the same bus as all the fans, took a picture with me… She did the same things as all the other fans. Then, during the event, she got so emotional she started crying, and she was just weeping when I was waving her and the fans goodbye. It was like… “What’s wrong with you?! We’re going to see each other tomorrow! We’ll be standing on stage together in no time!” (laughs) Being able to be assertive like that towards one’s seniors… it kind of feels like the sign of a new era. I’m actually a little envious of her. — How do you feel about the current members of the group? Niigaki: I think they’re so cool. Whenever I go see them in concert, I notice their formation dancing getting more and more technical. I have the same reaction as all the fans. “Whaaat?! I can’t believe my eyes!” (laughs) Still, as the group has a 20-year history behind it, I’m sure there are people who will compare the current lineup to their seniors. That’s something that we, too, would always be struggling with. — How does one deal with thoughts like that? — That’s what the Platinum Era members did, and they ended up getting the recognition they deserved. Niigaki: You can have a past reputation and still do your best in the now. Sometimes you don’t produce results right away — it might take time until you get acknowledged — but it will still be an important part of the group’s history. So I hope that they don’t feel shy about the group, but that they all believe in themselves as they do their best. — It feels like the key point in the group having managed to go on for 20 years is the members’ ability to take their suffering and their conflicts, think about what it is that they are supposed to be doing, and convert those feelings into confidence and pride. Niigaki: I definitely feel that way. And it’s also in the power of our songs. It’s girls of all ages and various personalities, brought together by the appeal of the songs and the group itself, and they’re continuing to make history. I think the group is where it is today because for 20 years its members have continued to believe in themselves and be proud of what they are doing. 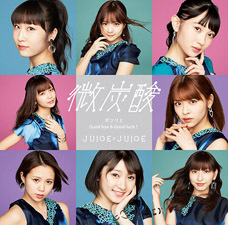 I believe the fans who have continued to support the group do so because they, too, can sympathize with that certain “Morning Musume spirit” they can sense in the group. The fans have proper manners and they always give the group such warm support. They really do feel like our family. — It feels like all its members tend to realize only once they’ve left how large and grand of an existence the group actually is. Niigaki: I got into Morning Musume because I truly loved them. I want to try and be someone who can continue to help the group in any way I can. — Has your Morning Musume past ever been a hindrance in your current field of work? — But on the flip side, you’ve also had people reconsider their opinion of you once they’ve gotten to see you at work, right? Niigaki: Yes. Surprisingly, as I keep at it I’ve had many people acknowledge me. Or, no, I shouldn’t say “surprisingly” — as I said, Morning Musume aren’t just some good-for-nothings. (laughs) Anyway, even if someone does think that way of me, it’s Morning Musume that gave me the guts to be able to withstand adversity like that. Even the fact that I’m now able to get on stage all by myself is all thanks to the mental strength that I gained from having spent those 10 years as a member of Morning Musume. — Could you have been a member of any other group? Niigaki: Morning Musume was an environment where I had all these amazing seniors as well as juniors, so I was able to see myself from all kinds of different angles. I learned so much there. I can’t imagine having been a member of any other group. — Lastly, what is Morning Musume to you? Niigaki: Morning Musume is my asset. It’s the place where I spent almost the entirety of my teen years. 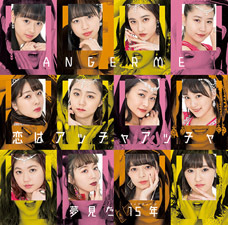 All that pain and happiness and all the other emotions I experienced were created by Morning Musume, and had I not lived through those things I’m sure I wouldn’t be who I am today. Now I get to do my current work, and sometimes I’ll meet with the other members and we’ll share our memories… I’m pretty sure if it wasn’t for Morning Musume, my life would have been entirely without meaning. — Starting from a point of adversity like you did, I can see how you might especially feel that way. Niigaki: I was so shy and quiet when I was little. But I found something I wanted to do, and in those 10 years I became stronger in so many ways. It enabled me to grow up mentally, too. Doing something for 10 years straight is no easy task, but there are certain things you can only discover if you don’t quit midway and you decide to see something through to the end. Morning Musume is what taught me that. And that’s why I love them. Niigaki: A lot of the songs from this period were mature love songs and I adore them all. This song especially is so chic with its worldview — our monotone outfits and adult-like makeup and all. We often sang this song when we went overseas, too! Reading all of that made my heart swell with joy, remember what is it about Morning Musume (and Hello! Project) that brought me to them. Niigaki Risa always had my respect and now I respect her (and everyone else involved behind the scenes) even more. This was a truly great read and thanks for the translation. Keep up the good work, Henkka! Really good interview. Gaki-san went through a lot in the group and it made her a stronger person, seeing how she overcame her more recent problems. Can’t wait for people to get over this soon to be cat lady. These types of interviews are really fun to read and also very informative. Thank you for translating this! She summed up exactly what I love about the platinum era so perfectly. I just realized a weird coincidence: Gaki’s ex-husband was one of the Ultraman’s and the hair style they made Gaki-chan wear was Mother of Ultra hair. Asami’s eyes and tiny voice made me think she’s negative haha mind you I like Konkon. 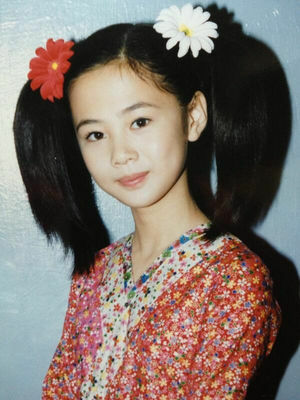 Young Risa’s former hairstyle was goofy but I like her bangs and eyebrows like many others. I hope there’s a video how Junjun and Linlin decide to take breaks in the midst of rehearsal but I doubt it because the office probably wouldn’t like it haha. Eripon is my oshi so I loved that part as usual. I definitely agree with the fans can sympathize with that certain “Morning Musume spirit”, their music conveys it and they are proud. Overall what a kind woman and I love her husky voice. Risa is a true morning musume.